To enter a miscellaneous payment to a vendor that does not exist, select ‘One Time Vendor’. In addition to the info for a regular vendor the user also enters the vendor address. 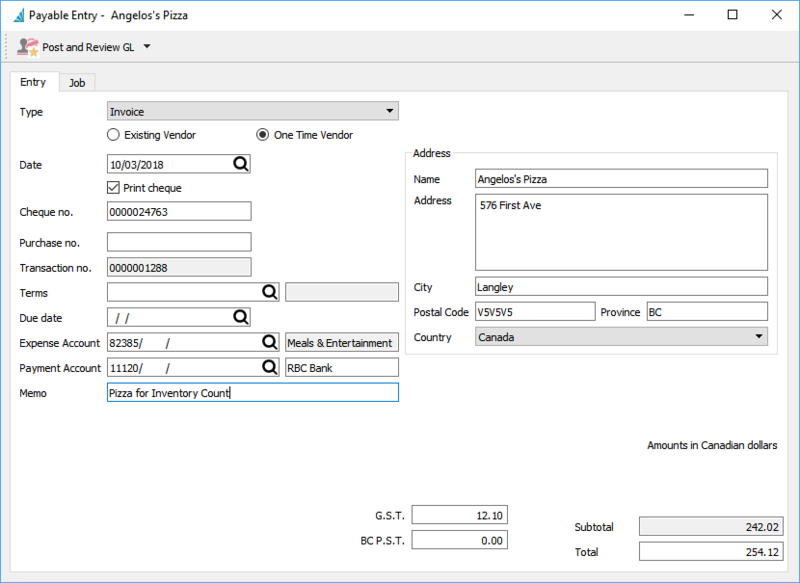 *Note – A vendor will be created with a numeric sequence number. These miscellaneous vendors can be filtered out so they are not seen on the list. If the vendor is used again there is no need to use this one-time option.